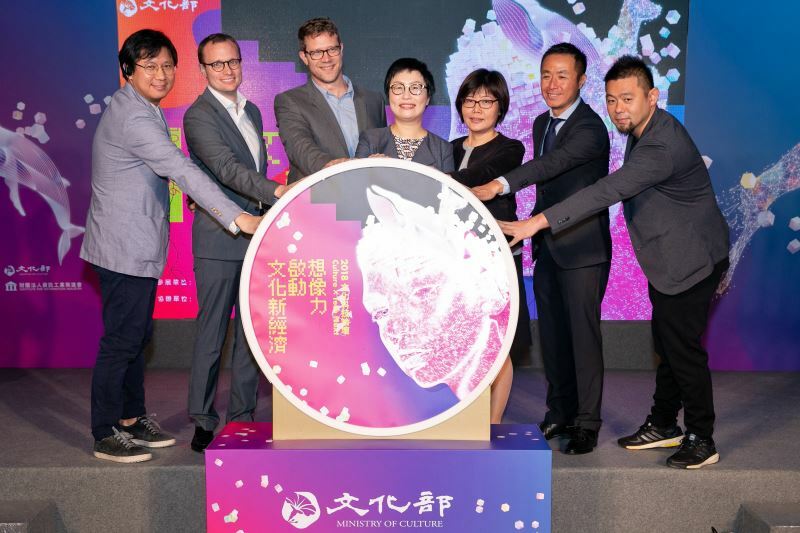 The "Culture x Tech Next" forum returned to the Taipei-based Huashan 1914 Creative Park on Oct. 25 - 26 to explore innovative strategies for advancing Taiwan's cultural and creative industries. 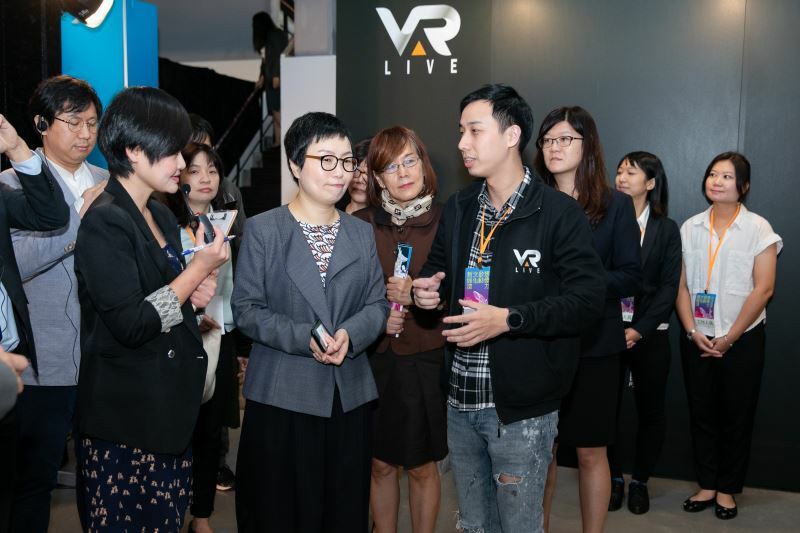 Organized by the Ministry of Culture, the two-day forum invited foreign professionals to deliver speeches and join discussions on topics spanning virtual reality, digital art, video-streaming platforms, music brand management, creative concerts, and the future of cinema. The forum also showcased achievements stemming from cultural applications of technology, including audiovisual and literary works, digital publications, pop music, and cultural assets, as well as products from the anime, comics, and games (ACG) sector. This year, the forum featured speakers including Director Peter Lewis of South by Southwest (SXSW), Asia Regional Director Takuya Takei of teamLab, Director Clayton Biele of FOX Innovation Lab, Digital Rise founder Francois Klein, CEO Masaya Ueno of Viki, and Jaeha Park, the team leader of K-live VR. 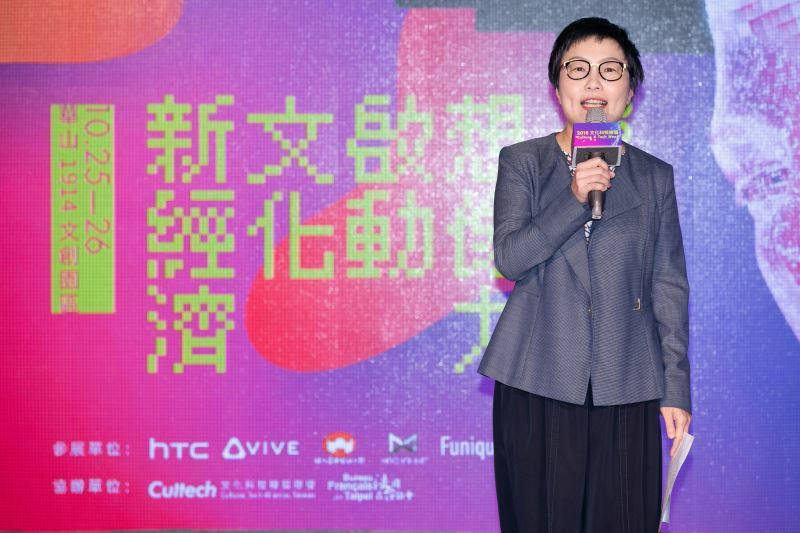 At the opening press conference, Deputy Culture Minister Celest Hsiao-ching Ting (丁曉菁) noted that Taiwan has rich source materials that can be developed into films, TV dramas, publications, and ACG products. To stay up to date with these fast-paced industries, the Ministry launched the forum last year to assist culture sectors in Taiwan in building an industrial ecosystem and utilize innovative ideas in content development through sharing of knowledge and experience. The implementation of the Innovative Applications of Technology and Cultural Content Flagship Project is part of the Ministry's efforts toward constructing such an ecosystem. In the future, the project will combine related programs and plans — including the Cultural Content Investment Project, the Cultural Content Policy Institute, and the establishment of outdoor film studios — to enhance the overall development of cultural content. So far, the Ministry has successfully supported the establishment of online multimedia plaforms, such as Taiwan Bar and SOSreader, which encourages artists to create and publish original works that embody Taiwan's culture through the web. In terms of innovative applications of technology, MoonShine VFX (夢想視覺特效) has created a virtual studio and real-time camera tracking to accelerate the process of making visual effects. KKFARM, a venture capital consulting company, also launched Soundscape, the first blockchain platform for music distribution in Taiwan. In addition, this year's forum has encouraged more interdisciplinary applications. Kent Animation Digital Independent Production, Inc., for instance, has utilized resources from the Ministry's Taiwan Digital Asset Library to make the teaser trailer of "Scrolls of a Northern City (北城百畫帖)," a short film adapted from artist AKRU’s comic book of the same title. In collaboration with Dutch production company Submarine, the Tainan-based Studio2 Animation Lab (兔子創意) is also developing an animation and game based on Taiwan war history between a Koxinga-led military and Dutch colonists to attract audiences from the Netherlands. More information can be found at http://cctp.mic.org.tw/cxtn/about.html. Visitors Today:74. All Time Visitors:1,229,881.